Ungefähre Landschaft (Unformed Landscape) takes the reader to a small village in the north of Norway, where we meet Kathrine, a customs officer who inspects Russian fishing vessels to check for contraband vodka. She has lived in the village for most of her life, and (as we are later to discover) has never been south of the Arctic Circle. Divorced with a child, she drifts along in a happy but monotonous existence, until she meets Thomas – who decides that she is the woman for him. In less than a year, the two of them are married, and Kathrine’s new husband, an intense, single-minded man, begins to form his new life the way he wants it, shaping Kathrine in his own image as he does so. She goes along with things for a while, but on discovering that her new marriage is all based on lies, she decides to leave, finally getting out of the small village which has been her whole world for so long. Stamm’s novel is about a woman who has been sleep-walking her way through life, burning through two marriages, and bringing up a child, without ever really being aware of what she has been doing. Her travels in the south (although pretty much anywhere is south when you start off in Norway…) serve as a kind of wake-up call, and a voyage of discovery for a fairly naive young woman. As she catches train after train, heading through Europe by day and by night, she sees different places and meets new people, even though none of it really makes an impression at first. By the end of the story though, her experiences have given her the strength she needs to make a new life for herself. There are several similarities with Sieben Jahre, not the least of which is the simple, almost colourless prose. Stamm’s style is deliberately slight and pared-back, simple sentences following one after another, falling into place like snowflakes onto the page. The thing with snowflakes though is that enough of them together can turn into a suffocating layer of snow, and the first twenty or thirty pages give the feeling of Kathrine being being slowly suffocated by the minutiae of dull, everyday life. Love your comment about everywhere being south if you start off in Norway! Great review Tony! This sounds lovely and really different from the other works you've read for German Literature Month. Good to get some variety into your reading to refresh the palette, as they say. Sarah – There'll be more contemporary works over the next few weeks – Week One lent itself to classics because of the rules 🙂 This one is entertaining, a nice, easy read, with a bit of a bite too. I have read two of his books so far and really liked them. I know many people and the critics thought this was his best for some reason I think you liked the other one better. Maybe it is because he is a bit repetitive and whichever we read first we like best? I think he may be a better short story writer than novelist. Poor KAtherine … not knowing what best for oneself is the worst thing. I like your translantion, it's quite poetry like. Beautiful review, Tony! 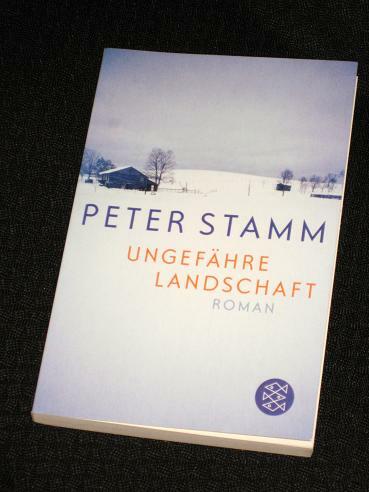 Peter Stamm is a writer I have wanted to try since last year's German Literature Month. Now, after reading your review, I want to get this book now. I liked your comment that everything is south of Norway 🙂 I also liked your description that the book is 'a modern Bildungsroman for a woman'. Thanks a lot for the review. I am hoping to read this book soon. Vishy – I'm sure you'll enjoy it 🙂 I've already ordered another of his, so it won't be long before I read another. You are providing so many additions to my wishlist, and evidently doing really well with your German lit Month reading!